Join us for the 9th Annual Tee Time for Autism Charity Golf Tournament! You can use the Paypal link below to remit payment for registration or sponsorship by clicking “donate” below. 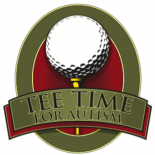 Download the printable 2019 Tee Time for Autism Registration Form!